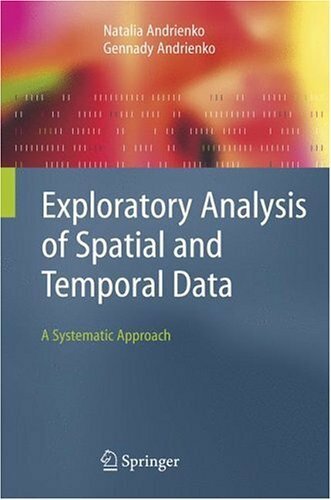 Exploratory data analysis (EDA) is about detecting and describing patterns, trends, and relations in data, motivated by certain purposes of investigation. As something relevant is detected in data, new questions arise, causing specific parts to be viewed in more detail. So EDA has a significant appeal: it involves hypothesis generation rather than mere hypothesis testing. The authors describe in detail and systemize approaches, techniques, and methods for exploring spatial and temporal data in particular. They start by developing a general view of data structures and characteristics and then build on top of this a general task typology, distinguishing between elementary and synoptic tasks. This typology is then applied to the description of existing approaches and technologies, resulting not just in recommendations for choosing methods but in a set of generic procedures for data exploration. Professionals practicing analysis will profit from tested solutions – illustrated in many examples – for reuse in the catalogue of techniques presented. Students and researchers will appreciate the detailed description and classification of exploration techniques, which are not limited to spatial data only. In addition, the general principles and approaches described will be useful for designers of new methods for EDA.